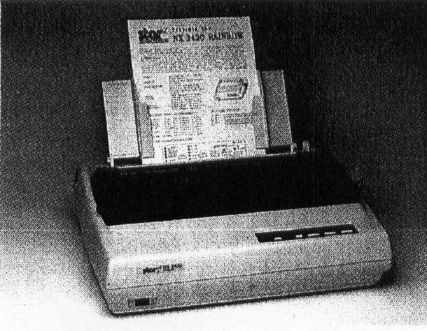 Four high-performance, low-priced dot-matrix printers from Star Micronix have been designed especially for small business and extended office environments. The NX-2420 Rainbow and NX-2420 Multi-Font are 24-pin units. The NX-1020 Rainbow and NX-1001 Multi-Font are 9-pin units. All four are well suited for word processing, database management, presentations graphics, and other general office applications. In addition, the Rainbow printers can produce vibrant graphics and multicolor charts. The two NX-2420 models and the NX-1020 Rainbow employ a switchable push-pull tractor for rear and bottom feeding of fanfold paper. 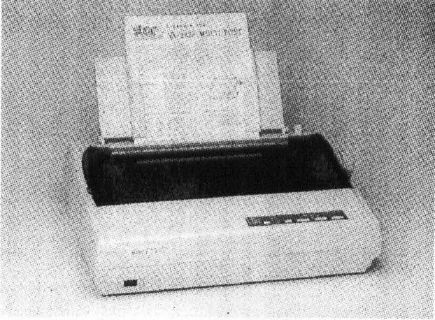 Users can program the printers to skip over the perforation and position the page for a short tear-off, eliminating wasted paper. A rainbow of colors and sharp 24-pin printing make this a great printer for multicolor charts and graphics. Speed, quiet mode, seven resident fonts, paper parking—all these features and more add up to a great printer value. Each printer features a quiet mode to reduce noise by as much as 50 percent. The 24-pin printers include seven resident fonts, speeds up to 250 cps, 360-dpi resolution, and emulation for the Epson LQ-860 and IBM Proprinter x24e. Retail prices are $549 for the NX-2420 Rainbow, $499 for the NX-2420 Multi-Font, $329 for the NX-1020 Rainbow, and $249 for the NX-1001 Multi-Font.